Mathematics is the only section which is purely problem solving. This subjects need full of dedication. It will be easier if you practice more and more but it will be difficult; if you are not practicing. Those who are taking it easier; they know it very well that it is full of calculations and scoring, only those candidates will take it hard who are struggling with the learning requisite formulae or logic and applying them for solutions. This is the section which want consistency and continuously practice. once you have learnt all the basics and all the basics in your finger tips like derivation, formulae than you will able to solve them easily. This is the top level engineering exam which is conducted by National testing agency from this year twice now. 10+ Lac students appear for the examinations. So you need to prepare very well. If you take take your footstep towards the wrong side that you mean will throughing your self out of the competitions. Try to select the best study materials for preparations. 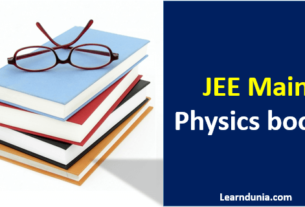 Here we are listing the best books for JEE Main Mathematics Section.